Ok, so we discussed some of the contributing mechanisms of knee pain in Part 1/2 and we have yet to look at diagnosis, prognosis and treatment. Let’s see what this prospective article, my main reference for this post series, suggests! 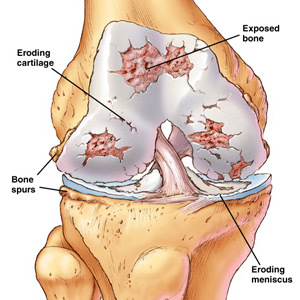 We have postulated that knee pain from osteoarthritis (OA) has three contributing factors: knee pathology, psychological distress, and neurophysiology. So when diagnosing individuals with knee OA who have pain we must see if these criterion are met. The authors in the article propose a phenotypical diagnostic thought process since the OA population is heterogeneous and broad. The patient could present with varying levels of each of the three domains noted above along with a reported pain rating. Example: a patient may have minimal radiographic changes, high psychological distress and moderate pain neurophysiology (central sensitization, etc) and report a 7/10 on the pain scale. Another phenotype could present with high radiographic damage, and low distress and neurophysiology and report a 3/10. This form of diagnosing a patient may help lead to the next two important steps; prognosis and treatment. Nocebo Confession: this image makes my knee hurt! The recently published prospective (March 2014) Future directions in painful knee osteoarthritis: Harnessing complexity in a heterogeneous population really breaks-down some wonderful concepts about pathoanatomy and pain perception. The article reports that 50% of individuals with osteoarthritis-like knee pain have positive radiographs for osteoarthritis (OA). Interestingly enough, 50% of those with positive radiographs for OA have knee pain. Citing the NIH they quote “it is important to separate conceptually the disease process of OA and the syndrome of musculoskeletal pain and disability.” They also refer to N. Hadler’s paper Knee Pain is the Malady, Not Osteoarthritis, which is a wonderful title indeed! The authors propose a new conceptual model which is outstanding in breadth and scope. They delineate the disease process into three contributing categories: 1) Knee pathology 2) Psychological distress 3) Pain neurophysiology. Knee pathology involves the regular and commonly held positions about OA. They include the radiographic (X-Ray) evidence, the chondral changes, osteophytes, the joint narrowing, the “bone-on-bone”, the “you have the knees of a 90 year old.” This part of the puzzle obviously contributes, but the relationship is NOT 1-to-1 for pain and dysfunction. – Try explaining that to someone who has knee pain, has been told they have OA and been told they have the knees of a 90 yr old. It will be a long discussion. Of course there are the biomechanical stresses on the knee including increased body mass and joint positioning that are implicated in the knee pathology puzzle piece. The psychological distress part has to do with fear of movement (moving could cause pain!!) and catastrophizing (ruminating over the situation and winding it up into a hypersensitive syndrome) and other factors (don’t want to give it all away, read the article!) similar to other chronic pains. It is shown that the better the coping mechanisms and the better the positive belief strategies that the patient can employ the better the outcomes. I walk up and sit down at the rower. Touch is an immensely important sensation and has been linked to many healing properties, so too has proprioception (the sense of body position in space). If you will, allow me to try to link these senses to pain and the body’s self representation. Iliotibial Band? More like Lateral Knee Pain. Cognitive Dissonance? That doesn’t make sense. A significant goal of this blog format is to help in the reflective process of becoming a better clinical and critical thinker, thereby providing patients and clients with a better experience and better outcomes. Perhaps the process by which we formulate and chew our thought-food will aid the reader in challenging their own current ideas, or perhaps reinforce them. I will not speak to the specific interests of this group, since they are varied and are subject to change. Our own passions can be found on the ‘about’ page. We encourage discussion on the topics discussed. Community interaction is certainly a goal as well. 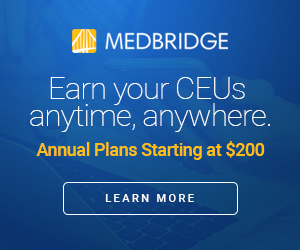 Click our MedBridge link for an Epic Discount on their sweet CEU and HEP services!